We’re acutely aware of how comfortable our life is. Of how we can afford to put a roof over our children’s heads, food on their plates, and give them a safe and happy childhood – a luxury unimaginable for too many families in the world. And this disparity between our haves and so many of the world’s have nots is never starker than at Christmas. Because while we’re busy (over) indulging in an excess of food and drink, and lavishing gifts on the people we love, far too many families are simply trying to survive. So we are personally really pleased to learn that the Help Refugees Choose Love charity pop up store is back in London and New York again this year (and online). 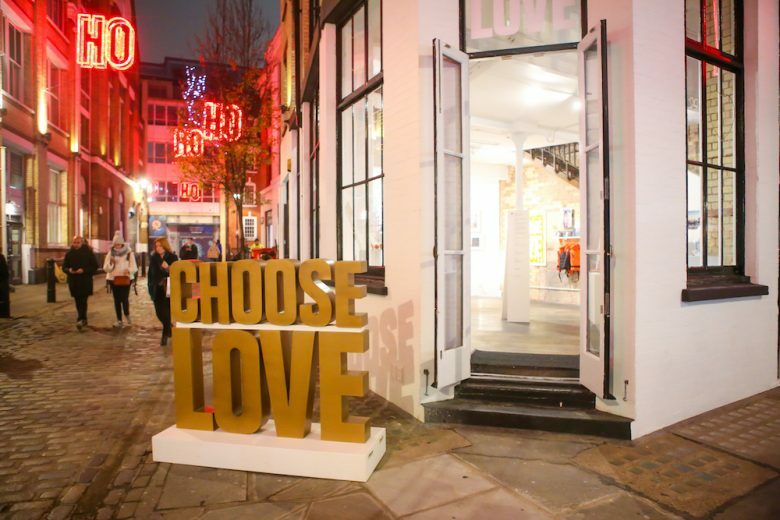 The fantastic Choose Love stores help displaced people at Christmas by offering a totally unique take on the traditional shopping experience. It’s an unusual concept: you can shop your heart out, and leave with nothing. Well, nothing material anyway. Instead you’ll quite possibly have made a significant difference to someone’s life this Christmas, and be filled with the incomparable glow that comes from helping someone else. So what can you buy? Items on offer include Christmas essentials like new solar lamps and women’s services, and emergency blankets and school bags. Every purchase you make goes towards a similar item for a refugee, distributed by Help Refugees and their partners across Europe and the Middle East. 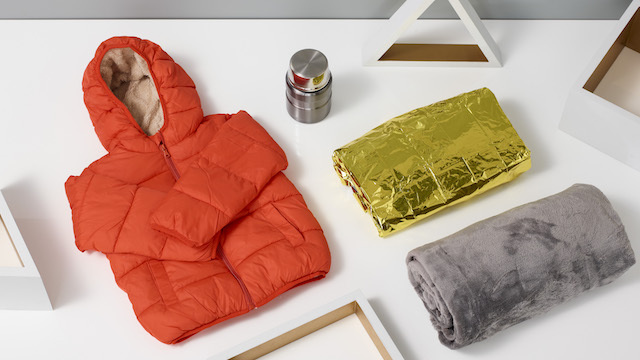 This year, the stores will also offer sleeping bags and support for homeless groups in the UK and the US. Survival – emergency blankets, warm clothing and food. Shelter – tents, sleeping bags and hygiene packs. Future – educational materials, a dictionary and keys to a home. This year they also have bundles of items to help people with specific needs, such as the mother and baby bundle, and a collection of services for vulnerable women. There will be new products on show to support people too. These include family reunion, which will pay for a lawyer for a refugee separated from their family, and a solar lamp, which will allow customers to buy energy and power for people in refugee camps. 25,000 essential winter items for adults, which included 5,000 blankets and 11,000 items of clothing. 100,000 essentials for babies and children including 77,000 packs of nappies. “Last Christmas, the shop became a beacon of compassion in the heart of central London. Choose Love helped people from all walks of life feel empathy for refugees – and do something practical to help. While you can easily buy your gifts online, if you can make it to one of the two stores in person, we recommend you do. They’ve been carefully designed to create an uplifting yet meaningful retail experience – a striking space where people can learn about refugees while doing something practical to help. 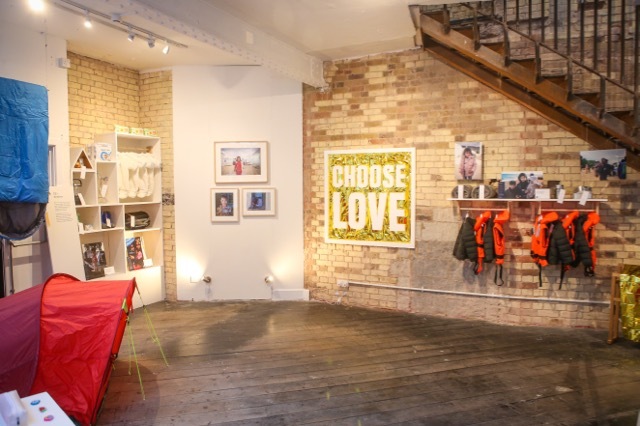 In London, Choose Love now covers two floors with the ground floor elegantly showcasing the items and merchandise, and the first floor acting as a space to host events, workshops and talks. Help Refugees volunteers will be on hand to answer any questions and take donations in both London and New York. The items on sale will include emergency blankets, children’s shoes, warm gloves, mobile phone credit and more. Costs will range from £4.99 or $4.99 to £499 or $779: an option to ‘buy the store’. Through December you can also expect surprise celebrity staff, special promotions and events with amazing partners including PRINT CLUB LONDON and SAY IT LOUD CLUB. Think of it as a welcome antidote to the panic and excess of the traditional Christmas shopping experience, and a chance to feel the love as you ensure that someone less fortunate than you has a slightly merrier Christmas thanks to your generosity. Shop the London store at 30-32 Fouberts Place, Carnaby, London, W1F 7PS – open Monday-Saturday 10am-9pm, late night shopping Thursday 10am-8pm , Sunday 11am-6 pm. Shop the New York store at 456 West Broadway, Soho, New York, NY 10012 – open Monday-Saturday 10am-7 pm, late night shopping Thursday 10am-8pm, Sunday 11am-6 pm. Shop online at the Choose Love online store.